Opting for a car that falls into one of the two lowest road tax bands – A and B – makes a whole heap of sense from a purely financial point of view, but can often be found lacking when it comes to driving excitement and performance. And that’s what makes band C cars particularly interesting, because this is the level at which the balance begins to shift slightly from the worthy to the more sparkling, with more petrol-engined cars and names like BMW, Audi, Alfa Romeo and Mercedes-Benz in greater numbers. There’s even an Aston Martin in this list. Well, sort of. Click through the gallery below to discover the UK’s 20 best band C cars. 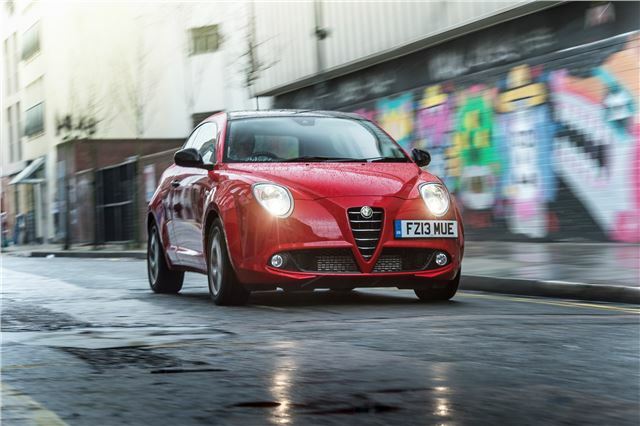 If you’re one of the lucky ones who doesn’t necessarily need a large, Astra-sized or bigger car, then Alfa Romeo’s baby hatchback would appear to have all bases covered. It’s handsome and it’s determinedly sporty. Yes, it’s got a 64mpg diesel engine under that elegantly fluted bonnet, but the peppy 1.6 gets surprisingly close to the equivalent turbo petrol in terms of performance, even if the noise it makes under load isn’t quite as fruity.